A team of professionals that understand how special it feels to have family and friends from all over the world share in your happiness. 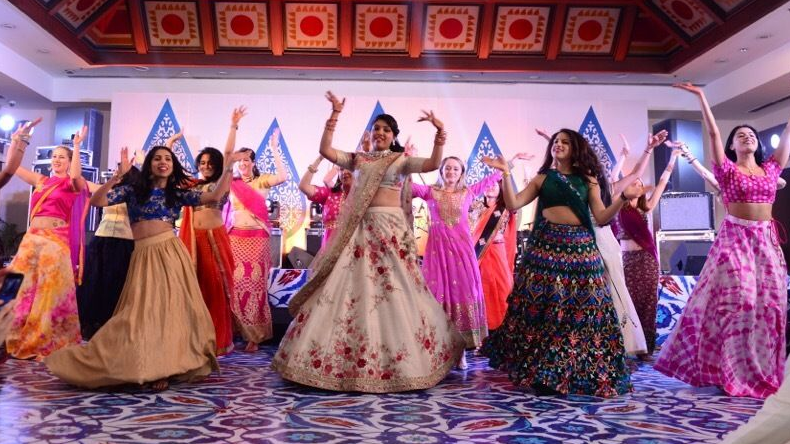 And they believe that What better way to do this than in full Bollywood style with song and dance? Based in Mumbai, Dancamaze is your one stop shop for all things choreography related! They teach dancers of all skill levels, and all ages, and their choreographies ranges from extremely simplistic to fully technical. They offer a wide range of dance styles to choose from, and they can create a beautiful piece to any song of your choosing! If need be, they can also suggest songs, and create the mixed track for you as well! They understand the stress involved with the perfect wedding, and they would love to be one of the reasons you can relax and all your guests keep smiling! 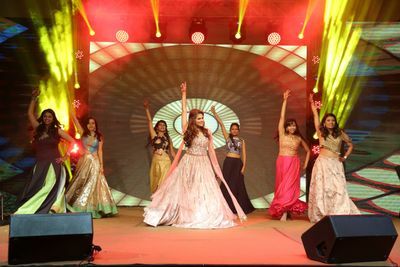 So, get ready to shake the leg and make your sangeet a memorable experience for your whole family and guests as much as for you with the guidance of Dancamaze. 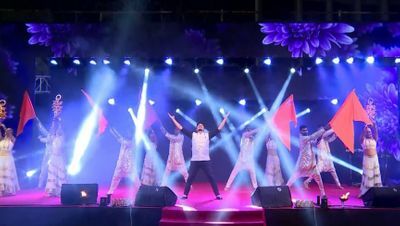 I would rate 5 stars for your absolutely simple choreographer for elders to amazing,elegant one for my daughters couple n solo performance.It was our pleasure to work with Eshna n Harsh.thanks for your cooperation and amazing choreographer, everybody loved it n had an amazing time.it was a big ???? for our sangeet.credit goes to you guys,Thanks again Even the videos were too good I think we had little problem with the sound clarity, otherwise everything was perfect???????? Thank you so much Neeta! This review has made us so happy ???? We absolutely loved working with your family and felt like a part of it while we choreographed all the performances. All the dances looked exactly how we thought they would, all thanks to you guys! Looking forward to working with you again in the future ???? Dancamaze did the entire choreography for my sister's wedding in December 2016. Their attention to detail was unparalleled and they went over and above what was requested of them. They became family to us and we didn't feel as though it was a commercial engagement. I would highly recommend Dancamaze to anyone who is planning their wedding. 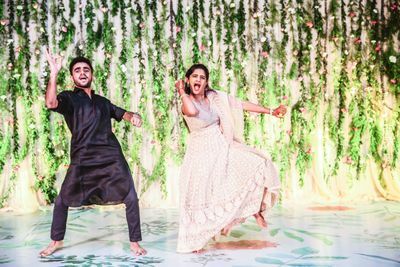 Eshna and Harsh inspire, deliver an amazing amount of energy on a continuous basis to their students, and the wedding performances turned out to be the highlight of the wedding. Keep inspiring and giving your students so much energy, you guys are rockstars! I spoke to a lot of choreographers from wed me good itself. Dancamaze stood out to me because of their hard work, professionalism and quick and clear communication. 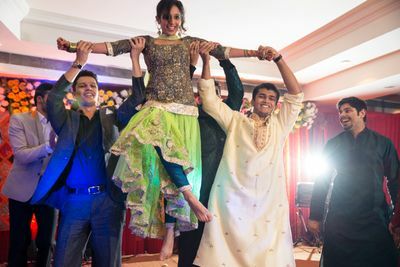 They even did some work before they were finalised as my wedding sangeet choreographers. There was no glitch during all the sangeet prep. They came as many times as we needed. They fulfilled my specific requests. They not only sent videos for my out of town guests but also sent long step by step tutorials for the videos. 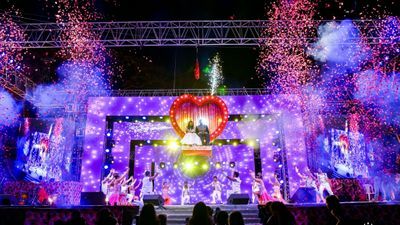 Extremely professional, we hired them again for my brotherÃ¢ÂÂs wedding sangeet and a couple of my friends hired them too after my wedding. Sangeet prep was a piece of cake because of dancamaze. 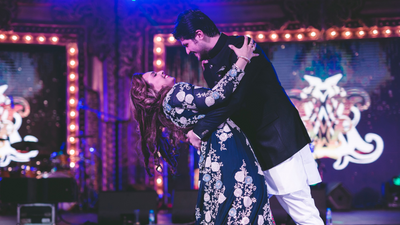 If I had to do my wedding all over again, there will be a few things I would change, without a doubt and a thought, I wouldnât change my sangeet choreographers!! 5 stars!! I had a fantastic experience with Dancamaze for my wedding! They are super professional and lots of fun! The energy of the whole room goes up as soon as they enter, and they really know how to get everyone involved, even the shy ones! We had quite a big group... about 40 people divided into 6 dances. We had a few songs that we wanted to dance to, and the girls happily provided steps for those songs, and if something was too tough for us, they would come up with something a little simpler on the spot right away! They were always on time and ready to go for practices so that was really helpful, especially in a super busy wedding house... We wanted them to attend the wedding and take care of the performances there, so we paid extra, but it was such a relief having them there because they made sure that each group of dancers was ready one after the other and so the sangeet ran very smoothly. 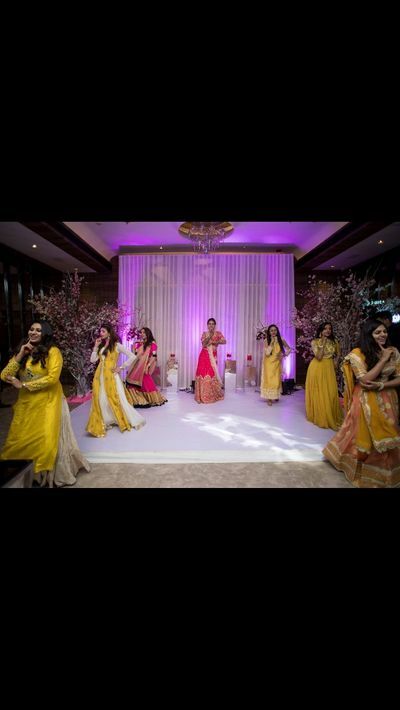 Will definitely recommend them to anyone looking to get their wedding or any other functions choreographed. 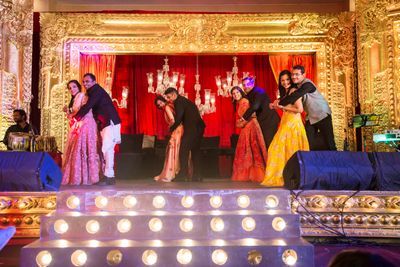 They choreographed a brilliant 45 minute performance for my son's Sangeet function. All out station friends and relatives received the dance video for rehearsing and the dances were designed keeping the ages of the performers in mind. They also choreographed the last scene of the play 'The Merchant of Venice' which was directed by me and which went on to win the Best English Play of 2016 by Sahitya Kala Parishad, Delhi. Nice choroegraphy :))) and friendly team,, always good simple steps. Thank you so much Anvita :) We had a great time working with you and your family! Hope to choreograph for you again soon!